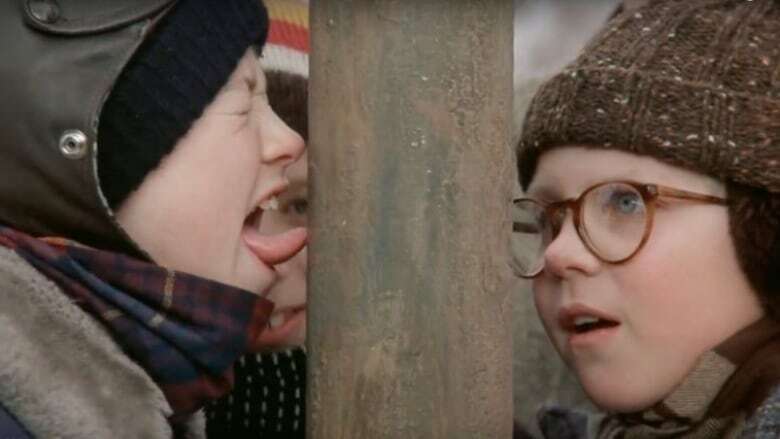 Across Canada, children have been licking metal poles and other frozen objects for decades — long before the holiday classic A Christmas Story. Across Canada, children have been licking frozen objects for decades — long before the holiday classic A Christmas Story. Actor Scott Schwartz told As It Happens in 2013 that he gets "at least one or two" calls a year about children getting their tongues stuck to metal objects after watching his pole-licking scene in the 1985 movie. It happened again this year to Spencer Kline, 11, who told the Beacon News he was inspired by the cult film when he got his tongue stuck to a Chicago pole. As It Happens put out a call to Canadians to share their own stories of getting stuck and unstuck. Here's what you told us. Anne Kern, from Stouffville, Ont., remembers a time in the 1960s when her elder brother pointed out an icicle on their metal swing set one cold, winter evening. In an email to As It Happens, Kern wrote that he said to her, "Doesn't that icicle on the swing look good?" To which she, a lover of rooftop icicles, replied, "Why yes." The elder brother then bamboozled the six-year-old into giving it a lick — while he ran off laughing. "I pulled my tongue off, leaving pink flesh behind," she wrote. "Dinner that night was painful, but silent." Toronto's Liane de Lotbiniere called in to share a story of her "dear Aunt June" — who is the youngest of her siblings and bore their torment. One Montreal winter, June's siblings ran into the house and locked her out. June, de Lotbiniere says, then decided to yell through the metal mail slot. Her lips froze instantly to the metal, but that wasn't enough for June's siblings. "As Aunt June was trying to mouth, 'Let me in, let me in,' my mom decided to be a funny-pants and yank the door open," de Lotbiniere said. As It Happens also received a call from David Harding in Sparta, Ont., who said he licked a pole in his hometown of Minden in 1953 on a dare. "I yelled and screamed and wailed," Harding said. Finally, the people at a nearby bank came out with water and "freed the tongue", and Harding scampered off humiliated. Carol Behan asked a very important question on the As It Happens Facebook page: "So, how do you remove said tongue from frozen pole?" Emma Wilkie from Halifax has one possible answer. When she licked a frozen Popsicle as a kid, she said her mom had to think fast. "I started to scream because it was pulling my tongue out of my mouth," Wilkie wrote in an email. 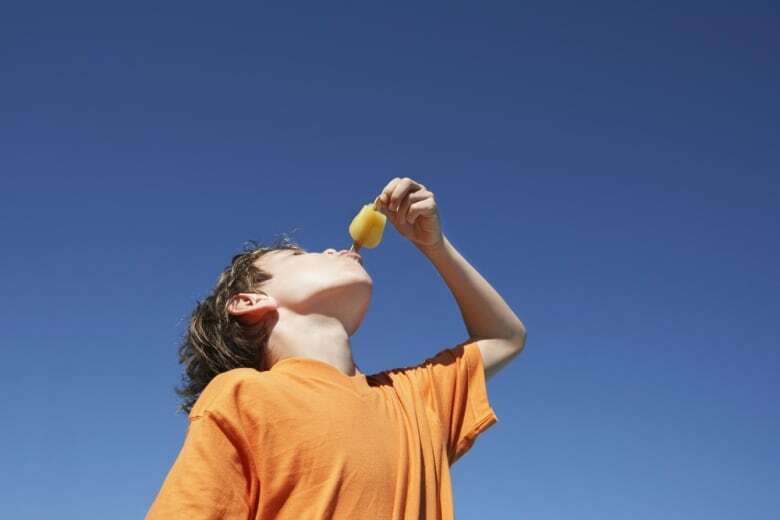 "My mom ran over in a panic and started licking the Popsicle at the same place to warm it up. I will never forget how gross it was for my mom's slobber to save the day and ruin my snack." Nicholas Francis had a similar experience, saying on Facebook that his brother had to "spit on my tongue to get my tongue unstuck." Meanwhile, Ottawa's Wendy Maclaren remembers seeing "a juicy layer of snow" on a metal railing in her childhood backyard. She of course licked it, and her siblings had to run to her mother. "My mother … quickly boiled some water in the kettle and poured it a few feet down from me on the metal railing, warming my end up enough that I could get my tongue back unhurt," Maclaren wrote in an email. Mark Fodor, who lives in Budapest and is originally from Montreal, took a different approach. Fodor's "worst skin-ice-rip story" happened when he was studying at the University of Guelph and using a bicycle as his main mode of transportation. To lock up his bicycle, Fodor used a metal U-lock. The keyhole often froze in the winter, but he had an easy solution. "Defrosting it was easy enough: blow into the keyhole for a few seconds and presto, I could unlock the bike," Fodor wrote in an email. But that practice of unfreezing his lock became so routine that one time, he used more than hot air. "I put my lips around the bike lock's metal keyhole, blew-blew and hoisted my head back leaving the outer layers of my lips behind and what probably looked like the worst case of chapped lips anyone has ever seen." Perhaps the weirdest story we received came to us via Twitter. Kellas Campbell told us about the time her boss at an aerospace research company got bored and licked a cryogenic tank, only to be rescued by a security guard. I used to work at an aerospace research company &amp; my boss pointed out a quiet, older man &amp; said he’d been working with a cryogenic tank all by himself for 20 years when one day, he licked it. Luckily a security guard came by &amp; they turned it off so he could be freed. Added detail: he was able to knock over a phone, and so they sent the guard. My boss pointed out this man &amp; I thought, yep. He never spoke at office bday parties or meetings. Maybe he never spoke before licking the tank, either, though. Or, there's the time Matt Morris was playing the trumpet at the Santa Claus parade in Fort Macleod, Alta., in 1980 when his tongue got stuck to the mouthpiece. Written and produced by Sarah Jackson.